KFC really won't stop surprising their customers with great meals to offer. For another new meal has now added on their menu. KFC Philippines has now released on it's official Facebook fan page a new serving for their customers, the “Double Down” sandwich in a bun called “Double Decker”. The new product was announced by KFC last Tuesday. The said product contains two fried chicken fillets, bacon, cheese and lettuce sandwiched wrap inside two burger buns. In the product description, it says, "The size of a man’s appetite, that’s what matters. 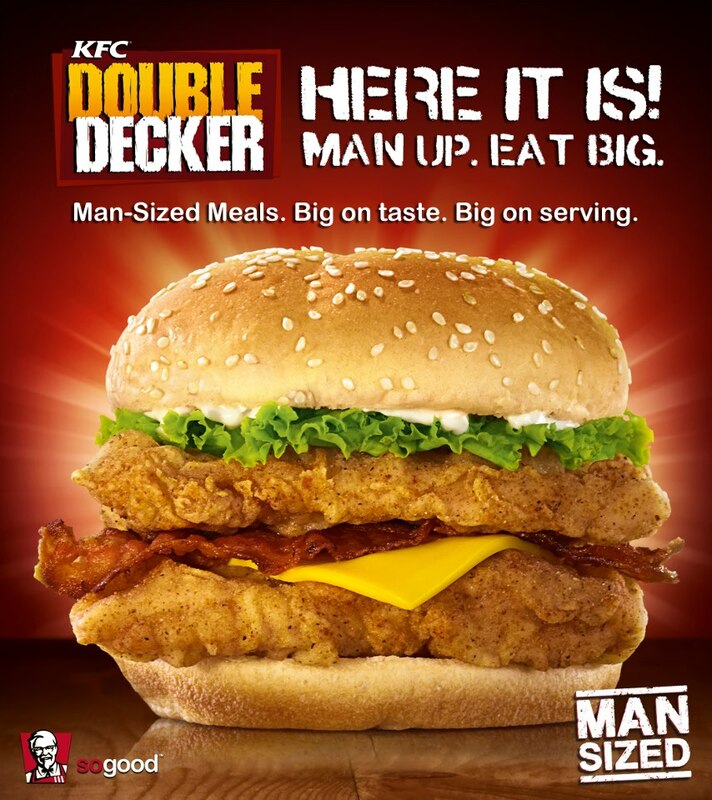 Gobble up the new KFC Double Decker with 2 big Original Recipe fillets! Man-sized meals are all you need to man up!" So what are you waiting for, let's go to the nearest branch of KFC and have bite of this new Double Decker. Let's see what will be your judgement after a great big taste. Comments or suggestions about "KFC Philippines 'Double Decker' now available" is important to us, you may share it by using the comment box below.